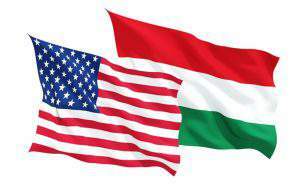 Budapest (MTI) – Prime Minister Viktor Orban has suffered a defeat in connection with the sale of state-owned land and blamed Jobbik for “his erroneous land policy”, the radical nationalist Jobbik said on Friday. Jobbik responded to a statement by the ruling Fidesz group earlier in the day which accused the opposition Socialists and Jobbik of joining forces “in the interests of foreign speculators”. According to the statement, the opposition parties have together attacked Hungarian farmers at the European Union and Hungary’s Constitutional Court. 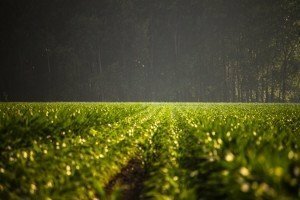 Jobbik called it shocking that Fidesz was “building a new system of large farms for the party’s oligarchs” and at the same time blaming Jobbik for its “own erroneous land policy”. Even Fidesz has now admitted that foreigners will be allowed to buy Hungarian farmland, Jobbik said. This shows that their former combatant approach to the European Union was purely rhetoric and has diminished into opportunism. Jobbik noted that Prime Minister Viktor Orban had asserted farmers’ association Magosz delegates in March 2010 that the future of Hungarian farmland would not depend on Brussels decisions. 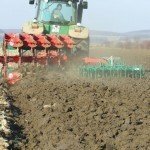 Orban said at the time that regardless of what decisions Brussels makes, foreigners will not be allowed to buy Hungarian farmland if Fidesz is in government. Orban’s war of independence has ended in a spectacular defeat, demonstrating that the Orban government’s land policy depends entirely on Brussels, Jobbik said. Head of the government office Janos Lazar told his regular briefing on Thursday that the European Commission has insisted allowing non-Hungarian citizens who farm land in Hungary to be allowed to participate at land auctions starting on Monday.